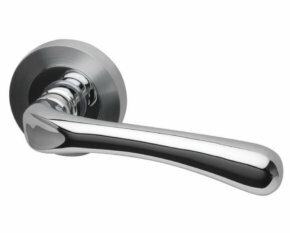 Single finish Gemini handles – round rose backplate design come in either a satin or polished chrome finish. A pair of round rose handles in a stylish finish, supplied with spindle and fixings. 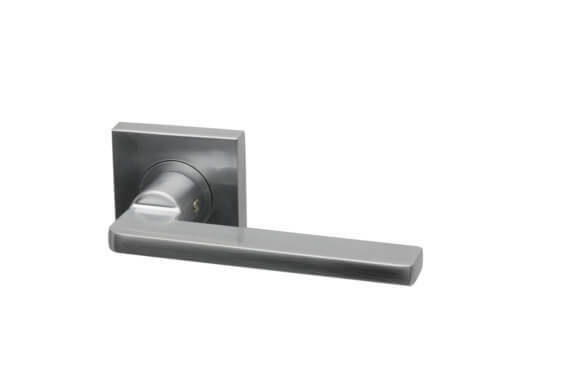 Can also come in a combined handle, latch/lock and hinge pack as well. Please ask us for details. 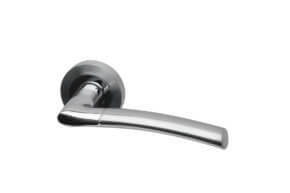 Our door furniture is delivered, in most cases, under separate cover from our door delivery companies. This is because all the suppliers are from different parts of the country. Because of this we charge deliveries for door furniture separately to our door delivery charges, so you may see a combined charge of £51.50 or more if ordering doors and door furniture at the same time. 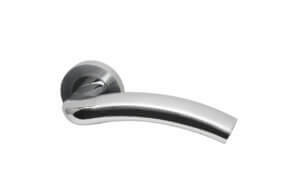 Please note that if your door/door furniture order exceeds £850.00 in our delivery areas A and B and is more than £1,100.00 in delivery area C, delivery charges are reduced to zero. If your combined order is less than the £850.00 or £1,100.00 limits as above and you are in areas A or B (see our Delivery Options page here), the delivery charges are £12.50 per door furniture delivery including VAT. 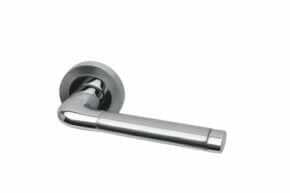 If you are in delivery area C the door furniture delivery price is £15.50 including VAT per delivery. The doors that you might be ordering will be charged a separate delivery charge. 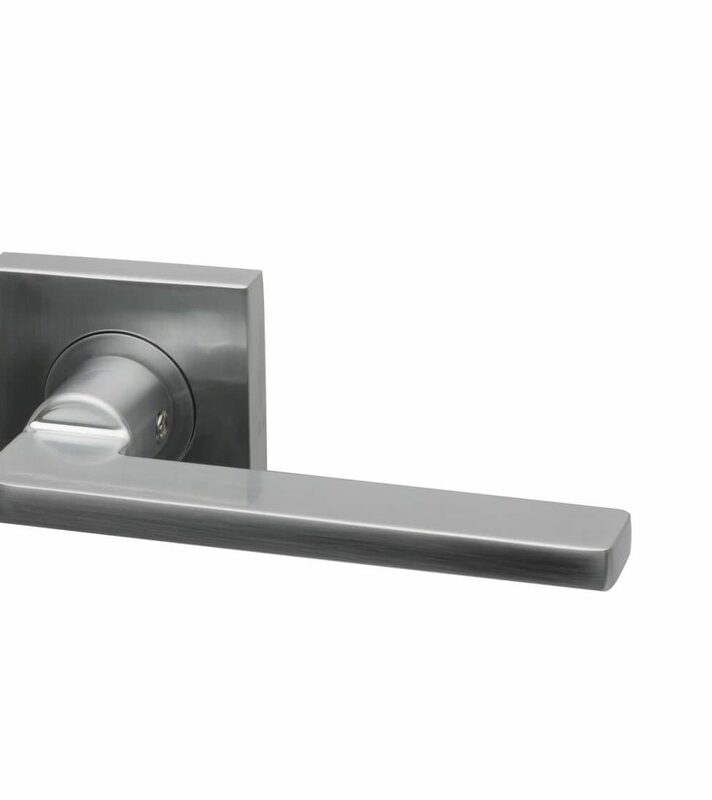 To see our other door furniture lines please find a link to them in our door furniture section here. If you are looking at any of our doors please find our internal doors here, our fire doors here and our external doors here.